Networking can be incredibly productive and elicit amazing results for your business and it can be a big fat waste of time. 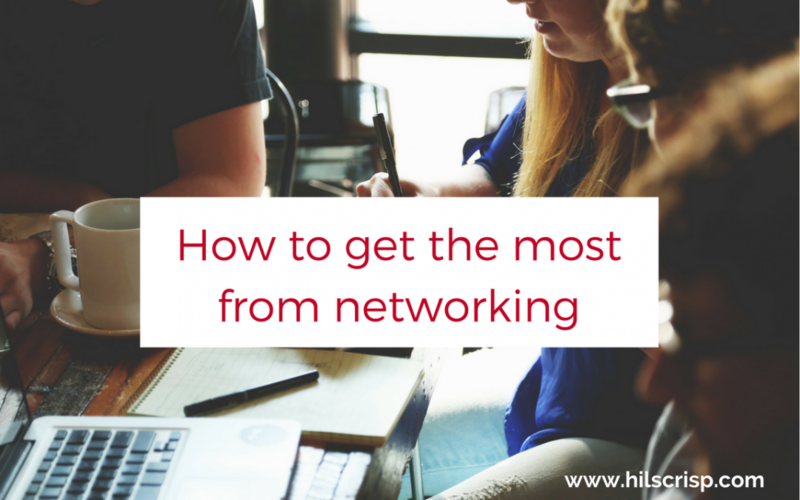 Get my six top tips on networking authentically, confidently and effectively. When you work on your own a lot, it can be nice and actually necessary to get out of the office (especially if you work from home) and interact with real people – remember social media isn’t the same thing! A lot of us can miss working in a team and having the camaraderie and connection we get from our colleagues. It can be a lonely business working at home alone all the time! On the whole, I find networking a really supportive, interesting, enjoyable and productive experience. I also get a lot of my business through networking, through meeting and then getting to know people who are my ideal client – independent businesswomen. 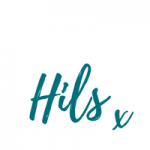 I now have a huge network of businesswomen in and around Bristol and I love connecting people when I can. Networking can, when done well, be incredibly productive and elicit amazing results and it can be a big fat waste of time. I see a lot of businesswomen who go networking a lot and they appear to be having lots of fun, but I doubt they are generating any or much business from it or through it. I think there is a way to have fun (of course) and make it really productive and strategic for your business. Time is money and you want that time spent to produce results don’t you? Networking authentically is much more about building relationships over time than about selling directly to whoever is in the room. There are other kinds of networking, where, like speed dating, it’s all about targets, selling and how many people you’ve referred – yuck! In order to build relationships you need get to know people, so start off by learning their names, and trying to remember what they do, then chat to them 1-2-1, even if it’s just to say hello, it’s nice to meet you. The best way to get to know people further is through having a 1-2-1 chat afterwards, plus it is one way to cement in your brain who they are and what they do (and vice versa) so you can refer each other and also explore possible collaborations. I’ve found these 1-2-1 conversations really valuable as they often generate amazing ideas too! Remember the clue is in the word: networking. This marketing strategy is about growing your network and thereby connecting with more people. If you get nervous or feel really awkward talking to someone you don’t know or approaching a stranger, try pretending that you are not networking but perhaps somewhere else. Just start a normal conversation such as “have you travelled far today?” ”do you come to this group often or are you new like me?” or ask them “what do you do?” You never know what you might have in common! Many people think they hate networking simply because they’ve been to a group they didn’t like or had a bad experience. It’s so important to find the group or groups that you resonate with the most, like going to and if possible contain your ideal clients. Think about who your ideal clients are and where they might be hanging out then try to find a group full of them. This can be a hard thing to do especially when your clients could be almost anywhere, such as people suffering from anxiety. This is why being really clear on who your ideal clients are is so important. Networking doesn’t just happen at business networking groups! Networking happens socially and at other events too, such as personal development talks, charity fundraisers, the WI, workshops and online also. Obviously, business groups are full of business people doing business, but you never know who you may meet in a different context that may be interested in what you do. So make sure you always have some business cards on you and if you don’t, ask to take their number or email address and follow up with them afterwards. It’s not just about who is in the room but think about ‘who do they know’ as these are the people you may also be able to reach – which is why having a clear pitch is so so important. It’s not just about who is in the room but think “who do they know?” as these are the people you may also be able to reach, which is why having a clear pitch is so so important. Research what kind of people go to each group, try a few out and see which ones you like. Choose groups which you resonate with, the ones you like going to (as otherwise, it will be an incredible chore to go!) and go to a few groups regularly. Be a good girl scout and get prepared – you’ll get way more from it if you are. Think about what you want to get out of the event so you have a goal or an intention. Do you want to get new leads, support or ideas for growing your business, get bookings for your workshop or simply feel energised by seeing people (for us extroverts!)? Then you can keep your focus on what your intention is. Find out (if you don’t already know) what kind of event it is or the format of it and then what you need to prepare for it – very likely this will be a 1-minute pitch and business cards at a minimum. Some networking groups have a ‘business surgery’ or ‘mastermind’ section (like at my monthly events) where you can get help on a challenge you’re facing. So, make sure you utilise the opportunity and your time and bring business cards and flyers to hand out and think about something you need help with. You usually only get 1-minute to introduce and promote your business, and this has to be one of the most important reasons you’re there, for your business. Otherwise networking is a nice to have but soon you’ll have loads of friends and no business! So make sure you’re clear on who you help, how you help them, what problems you help them solve or what goals you help them achieve and what makes you different. Get some guidance on how to put together a clear and compelling pitch (and if you need help with that, come along to my workshop on May 22nd). Then practice it, especially out loud – as saying the words aloud is really different to just reading them over in your head. If you can practice it on someone who doesn’t know your business very well and get some feedback, do so and ask them it is clear? #5 Be Confident but be yourself too! Feeling nervous or lacking in confidence for whatever reason (whether because you’ve never been networking or you get really anxious with new people or you’re terrified of speaking to a group) may cause you to not go at all (missing out on the opportunities), make a weird or terrible impression or have you hating it. I’d hate for you to suffer from anything of those things or anything else which puts you off networking. Everyone is there to connect, have a nice time (hopefully! ), share ideas/resources, get to know each other, create a network and/or make friends. If you feel awkward or self-conscious, know that others are likely feeling that too. Most people are nice and friendly. No one is there to embarrass you or make you feel bad. If you’re new to it, say so – it’s OK to be honest and it’s OK to be nervous too. It will get easier the more you go and practice. One way to help counteract the nerves is to practice deep breathing. When you get nervous or anxious, the breath tends to rise up into the chest and become more shallow, so if you consciously focus on breathing more slowly, deeply and into your belly, it will help you to feel less nervous physically. It will give your body the signal that you’re calm, which will help you calm down. It will also help keep your voice steady. Being confident is obviously the ideal, but in a natural, authentic way, not in a fake way. People can feel the anxiety under fake confidence anyway! Practice really does make, well not perfect, but it makes it easier and more enjoyable! Many people don’t do this one but it’s crucial for a 360-degree strategy and a more enjoyable experience. Networking offline can be best supported by networking online (rather than just trying to network online alone) so it’s really valuable to connect or link up with people after meeting them. So when you get back to your desk, go through the business cards you’ve collected, think about the conversations you had and connect with them on Linked In (if you use it), Facebook (like their page) or any other social media platform you are both on. If you had an interesting conversation or would like to set up a 1-2-1, drop them a message and say so. Remember business networks are built over time and through seeing the same people over and over and getting to know them better. It’s impossible to remember everyone if you only meet them once, so connecting online can be a great way to stay in touch, build your follows, likes and network and be able to find them later if you want to refer them. Plus having seen something on social media that they’ve done, will give you something to chat about with them next time you see them. Would you like help in confidently introducing your business in 1-minute at networking and online? If you’re in Bristol then come along to my workshop on May 22nd where you’ll get help in confidently introducing your business in just one minute. You’ll do some work around the relevant terms you need to include based on who your ideal clients are, then craft a solid one minute pitch and learn how it can be adapted to suit different occasions or a longer time. Then you’ll get some speaker tips and practise delivering it to a small good with constructive feedback before practising it in front of the group. I hope that’s been useful. Please comment below and let us know what you think is most important when hearing a one minute pitch, or share your top tip. Thank you. If you found this blog useful or interesting, I’d appreciate if you would share it on one or more of your social platforms. Many thanks!